Move smoothly through analysis, design, and execution while harvesting the benefits. Ensure the optimal combination of roles, skills, structures, processes, assets, and technologies that allow your organisation to deliver on its service and product promises. 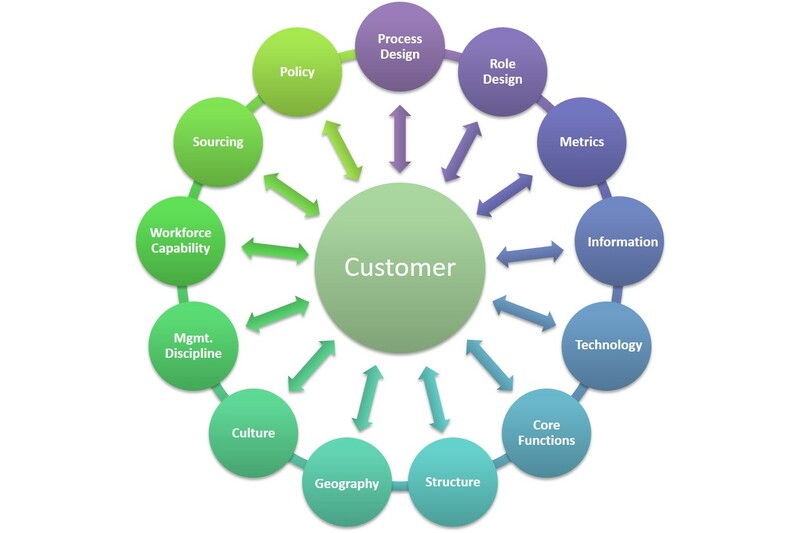 Download a PDF summary of our Operating Model Design service. Bevington Group has specialised skills and an enviable record in redesigning the key elements of business operating models. Our consultants can help you move smoothly through analysis, design, execution and the harvesting of benefits. Only Bevington consultants can model your future in such detail. It is this detail that accelerates deployment, whilst helping you manage execution risk. A business operating model is the combination of roles, skills, structures, processes, assets and technologies that allow an organisation to deliver on its strategy. In effect, it is the way the business is set up to achieve its goals, and meet future challenges. Restructuring an organisation to a new business operating model is a key component of any successful transformation, as it provides a clear direction. Rather than just juggling positions or changing the organisational chart, a business operating model can provide a blueprint for success to which all key executives can connect. Combining advanced methodologies, facilitation and experience, the Bevington Group is exceptionally proud of its long and growing list of satisfied business restructuring clients. Furthermore, by connecting you with others from our outstanding top tier networks, you can engage with leaders in non-competing industries who have previously engaged with us. You can learn from us, and from our past clients as well. To learn more about how increasingly important it is becoming to think about the design of your business, please read our related Articles. Refer also to relevant Bevington Group Case Studies.